We celebrate National Physical Therapy Month annually during the month of October in order to acknowledge and bring awareness to the benefits physical therapy can bring to your life. Physical therapy can not only improve your health, but working with a physical therapist also helps to promote an overall healthy lifestyle. The common practices of exercise, massage, heat, cold, water, and electricity used by physical therapists date back to the days of the Ancient Greeks. In the 1500’s, these practices were used in Europe to treat bone disorders and disabilities, and by the 1800’s were adopted and utilized to treat a variety of orthopedic diseases and injuries. Physical therapists still use these same ancient practices in order to help the body relearn certain motions and restore function. Physical therapists play an important role in the restoration and improvement of motion by using techniques that avoid surgery or harmful medications while keeping their patients fit through the promotion of a healthy diet and lifestyle. A physical therapist will work to build a treatment plan based on your specific needs. The goals will help to restore and increase your strength, endurance, balance, coordination, and flexibility. Physical therapy can treat many ailments! Patients commonly visit a physical therapist in order to help alleviate back, knee, hip, and neck pain, as well as other musculoskeletal issues. A physical therapist can also help treat conditions such as vertigo, concussions, jaw pain, urinary incontinence, and headaches. It is important that more people become aware of all the ways physical therapy can improve their health. 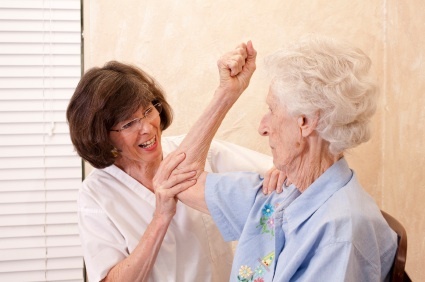 Physical therapy can treat patients ranging from children to the elderly. If you or someone you know is experiencing chronic pain, physical therapy can help to reduce your pain and can improve your overall health. Come celebrate National Physical Therapy Month and spread the word of the great benefits of physical therapy!